Raised in ten different homes across most regions of the United States, Courtney is as comfortable in a walkup apartment as she is in a Georgian colonial. East Coast prep meets West Coast casual. Southern formality courts Midwest accessibility. Homegrown comfort matches cosmopolitan flair. Sophistication welcomes whimsy. Madison, LA, Chicago, Dallas, London, DC, Sydney, NYC and San Francisco have all been home at one time or another and inspire her work. And decades of watching her mother transform the family’s houses into unique but familiar homes explains Courtney’s vibrant and fearless approach to design. Courtney studied finance and international business at Georgetown University and spent twelve years working on Wall Street before turning her lifelong passion for transforming spaces into serious business. 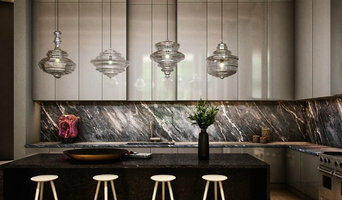 The impromptu sale of her fully furnished New York City apartment inspired Courtney to launch her design studio in 2009. Clients across the country have fueled her passion ever since. 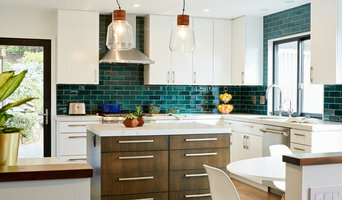 Weaver Design Group is a boutique interior design firm located in San Francisco. We specialize in creating timeless interiors that reflect our client’s lifestyle and needs. We have been recognized for our eclectic mix of found and newly designed pieces as well as making both a formal space inviting and a casual space practical. Our firm works on all scales of projects but specializes in older homes that want an updated look while holding true to the historical integrity of the home. Our design team collectively holds years of experience and a creative vision for design. Our team is passionate about our relationships with our clients and making their visions come to life. We excel at collaborating on projects with architects, contractors and other important resources and are respectful of their valuable expertise. The principal of the firm Amy Weaver has been designing homes for clients for over twenty years. Her years as a fashion executive prior to design have enabled her to develop an extensive knowledge and passion for textiles. This is evident in the tasteful, inspiring designs that she is well known for. Currently, Amy and her team are involved in projects on the East Coast, Southern California and many projects in Northern California. Seldin Design Studios is a full-service, boutique interior design firm located in San Francisco, CA, We provide a white glove experience for our clients and take care of all the little things. As a result, the process is smooth, the design is turn key, and the interiors are always luxurious but livable. Function is everything. As a firm, we are inspired by travel, nature, color, and pattern. Seldin Design Studios develops their designs by reaching into the past, recreating the existing, and tying together what is beautiful, functional, and timeless. The result is a design that is innovative, custom, and tells a story which is unique with every one of our clients. Our design mantra is "a little you, a little new." Rachel Seldin and her team live in a world of color and pattern. She encourages her clients to color outside of the lines and push the boundaries of creativity. From an early age, I developed and interest in design. I was surrounded by friends and family that pursued the arts, dabbled in antiques, and exposed me to New York's world class museums which kindled my lifelong interest in design and architecture. My studies at the Rhode Island School of Design enabled me to bring all of my interests together into one discipline. I received a BFA in Interior Architecture and a Bachelor of Architecture. Afterwards, I traveled throughout Europe to experience the great architectural landmarks that I had studied. I began my design career in New York and after six years, moved my career to the Bay Area where I have lived for over 25 years. I have a depth of design experience in Commercial, Residential and Design/Build projects: each informs the other. I've been involved in a wide variety of project types throughout my career from a concert hall in Japan to a chef's kitchen in Marin. Over the past 30+ years, whether designing large gracious homes or charming cottages in the East Bay, San Francisco and Marin, my desire to work with people in transforming their homes has brought me to where I am today. I am passionate about design and I thrive on fulfilling the unique perspective of each individual client. We believe that living in a beautifully designed home that reflects your personal style and how you live shouldn't also cost you a lot of money. At La Finca, we design luxe spaces for our clients that don't break the bank. We can do this because we specialize in "hi/lo" design. That means we know how to stretch our client's budget without sacrificing quality or style. Whether you need someone to partner with your architect on a full-scale construction project, or you just need to freshen-up an area of your home, our goal is to delivery a space that will not only make you feel as good as your home looks, but will leave you with enough room in your budget to enjoy living there as well. Internationally-recognized, award-winning, boutique interior designer. Specializing in Marin, Napa and Sonoma homes and properties. Stacey Lapuk, ASID principal of the award-winning interior design firm Stacey Lapuk Interiors and Indigo Interiors, Inc. We empower our clients with interior designs that reflect their life experiences, travels and emotions with truly personalized comfort and style. Celebrating 30 years of internationally recognized residential design in SF, Marin, Sonoma, Napa, Tahoe & beyond. Our projects tend to be meeting the special needs of families moving into their "forever" homes, divorced men and retirees building their dream houses. We are currently helping with a number of the Sonoma fire rebuilds in partnership with local architects and building contractors. EJID offers interior design and interior architectural detailing for new construction and renovation projects. A good home design professional will hone your style down to its very essence and be able to choose a functional layout that feels natural to you. Interior design companies can be involved as much or as little as the client desires. Many clients who hire an interior decorator in Ross, CA — particularly those who are remodeling — have a good sense of how the room should look and what products they should use. Often clients will insist that interior decorators use the products already present in the house. Other times a designer will need to start from scratch — especially if this is a newly purchased or just-built home. An interior design company will need to figure out exactly what the client needs, which includes organizing rooms, picking flooring and wall colors, and finding furniture to complement it all. Sometimes that means he or she will have to recruit help from other Ross, CA home professionals to help create the perfect look for your renovation. Here are some related professionals and vendors to complement the work of interior designers & decorators: Architects & Building Designers, General Contractors, Home Builders, Design-Build Firms, Photographers. Do your research before meeting with an interior designer or home decorator in Ross, CA. Ask yourself what you want your space to become and what it will be used for. Figure out the extent of what you need help with, what your must-haves are and what your budget is. Interior design services can add up fast, so be up front with a potential design firm or individual from the beginning. Also, pick an interior decorator that fits your style. Browse through the portfolios of different Ross interior design firms and decide if you would live in those houses. Just because you like something doesn’t mean you could live in it. There's a big difference! Find an interior designer or home decorator in Ross, CA on Houzz. Narrow your search in the Professionals section to find Ross interior designers near you. You can also look through Ross, CA photos to find a room you like, then contact the design firm who designed it.